The ultimate guide to Canazei ski holidays in 2019 & 2020. The largest and liveliest Sella Ronda resort, with a central position amongst the majestic Dolomites, Canazei makes a terrific base for a week of unforgettable skiing. We love the old Italian charm of this bustling mountain town, not to mention the legendary ski area and value for money… the scenery speaks for itself. This popular resort is perfectly located within the beautiful surroundings of the Val di Fassa at the heart of the Dolomite ski area. One of the larger resorts in the Fassa area, Canazei has maintained is traditional alpine charm whilst being kitted out with all the modern facilities that make a ski holiday so easy. Lively bars and traditional Italian eateries - many of which are housed in old converted barns - line the cobbled streets of this vibrant Italian town, giving it a bustling atmosphere as well as bucket-loads of character. The fun and friendly vibe makes it perfect for a family getaway, groups will love the buzzing après and couples can enjoy quality time, cosy restaurants and spectacular scenery. A huge highlight here is Canazei’s position in the legendary Sella Ronda ski circuit, where confident snowlovers can cover 4 different valleys and 3 different provinces – all in a day’s work. You don’t have to be an experienced skier to enjoy the other big highlight of holidays here – the views of the surrounding peaks, meadows and forests are jaw-dropping. Just a 2.5 hour transfer from both Venice and Verona airports, Canazei is really easily accessible - you’ll be out on the snow in no time. 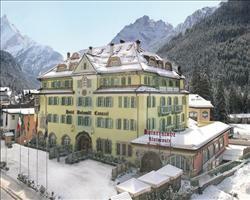 The train stations of Bolzano and Trento are also nearby and have bus and taxi connections directly to the resort. The Val di Fassa/ Carrezza ski pass gives you access to the quieter slopes of Campitello, Buffaure and Carezza - ideal for a relaxing week of cruising lovely, uncrowded pistes. The free ski bus takes visitors easily around the town and makes an easy route from accommodation to the Belvedere cable car that connects to the main ski hub. With the Dolomiti Superski pass, skiers and boarders have access to 12 ski areas and over 1200km of piste including Cortina, Val Gardena and Alta Badia. View our detailed Canazei snow forecast or snow report and see all live webcams, piste maps, road and travel maps and lift pass prices. For a picture of historic snow conditions see the snow depths month by month with our Canazei snow history. 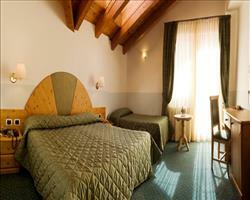 This is the ideal place to ski the famously beautiful Sella Ronda circuit, which is skiable in a day. Some of the descents are quite difficult, so the circuit is probably best avoided by beginners, but experienced skiers will have an absolute whale of a time. You can choose to take the orange route clockwise or the green route anti-clockwise – you’ll need the Dolomiti Superski pass and it’s best to get up early and set off before 10am so you can fit in a couple of mountain hut breaks and ski back before the lifts close. Beginners can get to grips on the nursery slope at resort height before heading up to higher ground. 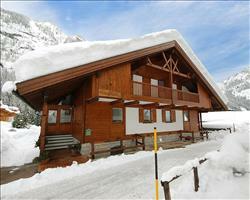 Canazei Marmolada is the main ski school - they also have a mini club for the youngsters and a Kinderland nursery. The main ski area is reached by the Belvedere cable car that takes you up to the hub at Pecol - from here you’ll find an intermediates white haven. After skiing the reds on Belevedere, ski over to neighboring Campitello for more variety. Advanced skiers can take advantage of the links to nearby resorts which can be reached by bus from a number of different lifts. Head over to Arabba to find some amazing steep verticals on the Marmolada peak, ski the famous World Cup downhill run over at Val Gardena or cruise the gentler slopes at Alta Badia. Exciting off-piste can be found at Sass Pordoi if you’re thirsty for some powder. Snowboarders will enjoy the relaxed vibe and have a range of mixed terrain as well as the Dolomiti Snowpark above the resort. This is easy to get to via the cable car and fully equipped with beginner, medium and pro boxes, rails and jumps as well as a Big Air and boardercross. There’s also a self-timer run on Belvedere for the competitive skiers. As one of the larger resorts in the Val di Fassa, there’s always a vibrant après buzz here with a host of bars and restaurants scattered around the town to suit every type of evening. The Italians are known for their gastronomic delights and here you’ll find a wonderful range of cheeses, meats and pasta on offer in restaurants in the town and on the mountain as well as some delicious local wines. Be sure to try a glass of Bombardino - this blend of advocaat, brandy and whipped cream is the perfect addition to any day on the slopes. Skiing in Italy also means really good value so you can enjoy the amazing food and drink without breaking the bank. At the end of the day, ski down the home run and straight in to the Après ski paradis, a terrific log cabin which fills up with thirsty skiers and boarders at the end of the day. L’Husky is another hot spot, perfect for a post-slope tipple or an evening of cocktails. It’s a friendly bar with a warm and welcoming vibe and plays music through the evening. There are tons of pizzerias in the town which are ideal for a casual meal– one of our favourites is Bar Pizzeria Italia. If you’re dining out for a special occasion you should try the “wine and dine” restaurant. This top quality establishment offers a variety of traditional Italian cuisine and a range of local wines in an intimate setting. As well as wining and dining the Eghes wellness centre is ideal for winding down with thermal baths, saunas and treatment rooms for curing those achy limbs. Non-skiers can experience the thrill of a sleigh ride or take a snow shoe excursion and the Ischia sports centre is just down the road at Campitello, fully equipped with football pitches, basketball courts and a mini-golf course. When is the best time to ski Canazei? Recent years have seen amazing snowfall in the area well into the late season. You’ll usually find the best conditions from December through till mid March. Italy can sometimes have less snowfall than other European resorts and during spring the sun may begin melting the snow away, so hop on the first lift and make the most of the high slopes before retiring for a drink or two in the Italian sunshine – we like the outdoor seating at Baita Pradel on Strèda de Pordoi. The busiest times are during the Christmas week - February half term isn’t usually too bad as the Italians don’t have a half term holiday. Even when the resort is bustling, however the slopes above the resort don’t get too crowded as with a huge expanse of terrain to explore, skiers basing themselves in Canazei tend to disperse across the surrounding ski areas. Families are well catered for here with some excellent childcare facilities and a relaxed and friendly atmosphere in the town and on the piste. Anyone travelling with children who are too young to ski can keep an eye out for properties offering childcare services – we have some fantastic hotels and chalets where childcare is provided on site: little ones are kept happy and well looked after in a familiar environment and you can return after some time on the snow for quality time together. Chalets are ideal for family getaways as they offer a cosy home away from home for an intimate week spent together. All properties are fully catered and normally offer children’s menus with early meal times for little ones, so you can settle them down before heading for dinner and wine with the grownups. Hotels are fantastic too – they tend to have bigger and better facilities like swimming pools for a family splash about and on-site bars if Mum and Dad fancy a quiet drink later on without leaving the property. The Marmolada ski school takes lessons for all ages and abilities, there’s also a Kinderland on the snow where the children’s clubs are held- this fun playground is a fantastic introduction to the snow for youngsters. Ski lessons are taken on the nursery slopes whilst the higher grounds are mostly suited to more confident skiers. If you’re a family of confident skiers make sure you try out the Sella Ronda ski tour for some more thrilling descents or travel towards the quieter slopes at Alta Baidia for long days of cruising. 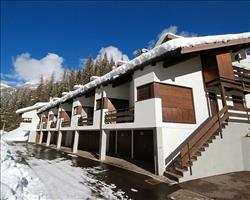 Canazei is ideal for groups wanting a fantastic week on the snow without the hefty price tag. 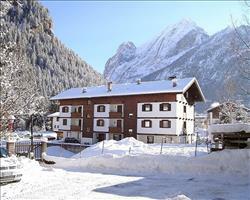 Canazei’s great value and fun, friendly vibe has many skiers returning year after year. Hotels are ideal for groups wanting to stay together – the Dolomiti Hotel offers top quality accommodation and with 90 rooms it’s terrific for larger numbers. La Perla is another charming property and it’s in prime location for the Belvedere Gondola and the lively après scene- just a minute’s stroll to each. 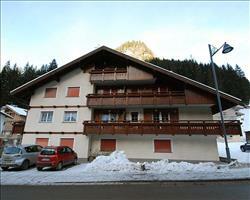 This is an ideal base for groups wanting to explore more of the Dolomite ski area. The Sella Ronda circuit is a must ski if you’re a set of experienced skiers - you’ll need to upgrade to the Dolomiti superski pass if you haven’t already and set off early (before 10am is best). It takes about 6 hours, skiing through 4 valleys in 3 provinces amongst some breathtaking scenery. If you fancy more of a casual cruise, some of the best and quietest piste is at Alta Badia. Beginners don’t need to feel left out as this is a lovely place to experience the snow for the first time- Marmoldada ski school offers lessons for all ages (book a private instructor if a set of you want to learn together) and the relaxed pace both on and off the piste it makes a really enjoyable destination for an introduction to the snow. 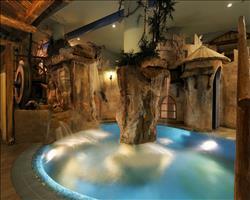 We love the fact that Canazei has the best après scene in the Dolomites. You’ll find a host of lively bars – ski straight down the home run and into Après ski Paradis for a post-slope pick me up and spend the evening partying at L’Husky where drinks will be flowing and music playing through the night. 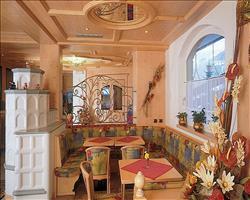 Foodies will love the traditional Italian cuisine on offer here-El Pael is well worth a visit as is Mini Restaurant. Canazei is an excellent ski resort. We had a healthy dump of snow last time we were here. 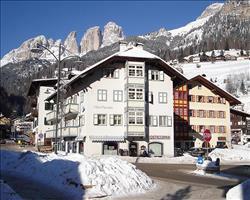 The skiing is excellent with a whole range from beginners to blacks with beautiful views looking over the dolomites. Unlike some resorts it wasn’t busy at all which was quite nice! There’s a good variety of after skiing pubs and a supermarket, nice shops and a beautiful leisure centre with a lovely sauna.